If senior citizens only treat themselves to hot cocoa on chilly days, they could be missing out on this warm beverage's cognitive benefits. New research from Harvard Medical School reveals that drinking hot cocoa daily may help older adults prevent neurological problems from developing, CBS News reported. More specifically, the study, which appears in "Neurology," found that consuming two cups of this drink for one month led to better thinking and memory test results among seniors. Over the course of this study, the 60 dementia-free participants were instructed not to eat any other chocolate. Dr. Farzaneh Aghdassi Sorond, an associate neurologist at Harvard Medical School, as well as the study's author, believes there is a link between consuming hot cocoa and better blood flow in the brain. "As different areas of the brain need more energy to complete their tasks, they also need greater blood flow," said Sorond, as quoted by the news source. "This relationship, called neurovascular coupling, may play an important role in diseases such as Alzheimer's." 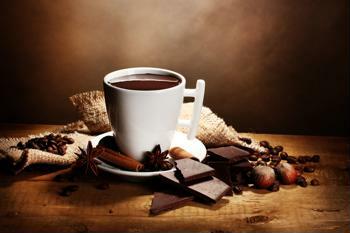 Hot cocoa is not the only warm drink that has been linked to better brain health. According to a 2012 study from China's Third Military Medical University, epigallocatechin-3 gallate, an organic chemical found in green tea, can have a positive impact on learning and memory. Whether seniors drink hot cocoa or green tea on a regular basis, they may be able to see what kind of cognitive influence these beverages are having on them by taking an IQ test.